That's from The Little Prince by Antoine de Saint-Exupéry. And why do we begin with this literary extract? Well, for its beauty and aptness. 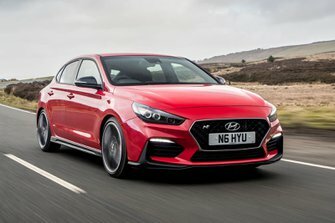 Because if you look at the Hyundai i30N and think it's just another i30, you’d be very wrong. 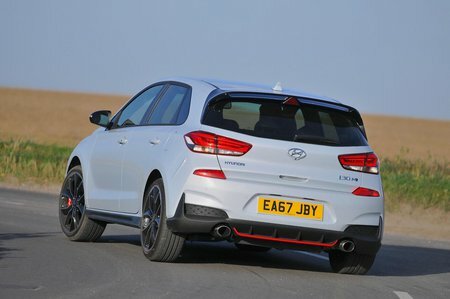 What is essential to know, but hidden from sight, are the hours of work that have gone into turning the i30 into a proper hot hatch capable of, Hyundai hopes, competing with the big boys – who are a force to be reckoned with. The entry-level 247bhp version competes squarely against the Volkswagen Golf GTI, while the 271bhp i30N Performance takes on the Honda Civic Type R and Renault Megane RS. The engineering team behind the i30N is led by ex-BMW M division chief Albert Biermann. He’s a man who knows his onions when it comes to setting up quick cars, having played a central role in creating cars such as the M3. And to make sure the i30N works in reality, it has been diligently honed on the infamous Nürburgring racetrack. So, has it worked? Is the i30N really a serious contender for your hot-hatch cash? Read on and we’ll let you know. And if you’re thinking of making a purchase, don’t forget to check out our new car deals page for the best deals going.